Our electricity grids transport alternating current. For the time being at least: the predominance of alternating current is coming to an end. Items such as computers, mobile phones, LED lamps and electric vehicles increasingly make use of direct current. Then there is the growing number of power generators that supply direct current instead of alternating current, such as photovoltaic units. The necessary conversion between alternating and direct current consumes huge amounts of energy. That is why energy experts are campaigning for the construction of direct-current grids. The industrial sector, especially the automotive industry, has also begun to equip factories to run on direct current. However, direct current places new demands on infrastructure, including cables. Leading connection systems manufacturer LAPP has taken a close look at these challenges. The company will present its first series product, ÖLFLEX DC 100, at SPS IPC Drives 2018. It was specially developed to provide motors and appliances with direct current. The cable is the result of extensive experimentation in the LAPP laboratory and at the Ilmenau University of Technology, where Prof. Frank Berger researches the influence of direct current on the ageing process in cables. “In principle, cables for alternating current can also be used for direct current”, explains Berger. Regarding long-term durability, however, there are still many unresolved questions and very little in the way of knowledge, even though direct current has been around since the 19th century. Researchers have found evidence that direct current fields place different strains on the plastic of the insulation than alternating current fields. “It is very important to precisely understand this correlation, which is why we are paying so much attention to this issue that will shape the future,” says Guido Ege, Head of Product Management and Product Development at LAPP for the LA EMEA region (Europe, South America, Africa and the Middle East). The new ÖLFLEX DC 100 is designed to withstand decades of use with direct current, just like its alternating current equivalent, the ÖLFLEX Classic 100. The two cables feature different insulation but otherwise share similar properties. They both have PVC sheaths and offer identical dielectric strength, for example. The only visible difference is evident only when the sheath is removed. The colour coding of the wires is different: red, white and green/yellow according to the standard DIN EN 60445 (VDE 0197):2018-02 that was updated in February 2018. The ÖLFLEX DC 100 is available now. LAPP will present the cable at SPS IPC Drives 2018 in Nuremberg in Hall 2, Stand 310. 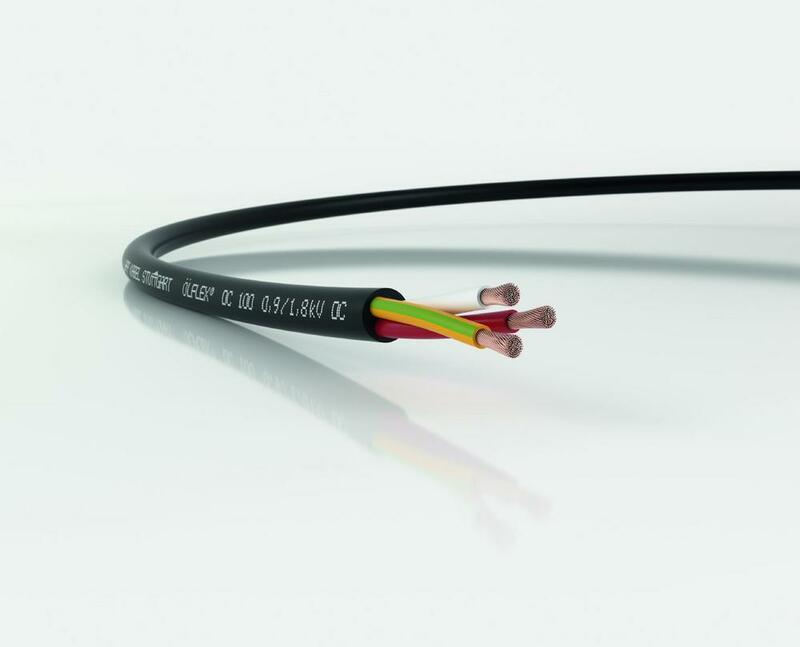 Headquartered in Stuttgart, Germany, LAPP is a leading supplier of integrated solutions and branded products in the field of cable and connection technology. The company’s portfolio includes standard and highly flexible cables, industrial connectors and cable entry systems, customized system solutions, automation technology and robotics solutions for the intelligent factory of the future, as well as technical accessories. LAPP’s core market is in the industrial machinery and plant engineering sector. Other key markets are in the food industry as well as the energy and the mobility sector. LAPP has remained in continuous family ownership since it was founded in 1959. In the 2016/17 business year, it generated consolidated revenue of 1,027 million euros. LAPP currently employs approximately 3,770 people across the world, has 17 production sites and around 40 sales companies. It also works in cooperation with around 100 foreign representatives.